Tommy made an appearance on Last Call recently and we've got the clip below! The new record is out now. Check it out on Amazon, on iTunes, and anywhere else you love to get music. The High Pilots have also just announced tour dates with The Dangerous Summer. Find out when they're coming to your town HERE. The new album from Tommy & The High Pilots is available NOW. Find it on iTunes, Amazon and other quality retailers! You can also catch the band this Monday, June 3rd on Last Call with Carson Daly. Check local listings. 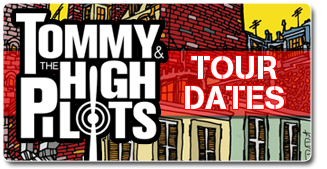 Tommy & The High Pilots new album Only Human will be in stores May 28th. You can pre-order it right now HERE. Check the band's website for new tour dates. The High Pilots have also released the title track from the new record and an incredible new lyric video featuring the album's artwork by artist David Diamant. Check it out below. We're thrilled to announce that Los Angeles-based Hip-Hop artist (and so much more!) P.D.A. is the newest addition to the Redbird Records & Touring family. If you haven't experienced P.D.A. 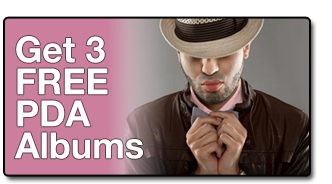 yet, start HERE by getting almost 40 songs for free. Then, on February 14th swing by and pick up his new mixtape "The Boy That Gets The Girl." See the video below for a sneak peak at the new mixtape. We've got a lot planned so stay tuned here, our facebook page, and P.D.A. 's official site. Don't miss The Pilots' annual Christmas extravaganza in their hometown of Santa Barbara, CA. Tickets are on sale now! Tommy & The High Pilots just put up this of video of their acoustic cover of the Talking Heads classic. They also have a handful of tour dates coming up in Chicago, Austin, Dallas, Tulsa and more before they begin work on their new album. New album?! That's right. Songs are written and recording will begin very, very soon for a full length Tommy & The High Pilots album to be released next year. If you want to hear some of the new songs, the band has been playing several live so go see these shows! And if you can't make it.... start surfing YouTube, they're on there. Tommy stopped by MTV in New York and performed an acoustic version "Where to Start" for Buzzworthy. Take a look HERE and make sure to check out the band's TOUR DATES for upcoming shows in L.A., Chicago, St. Louis, and Denver. Ludo took Manhattan last month and a good time was had by all. Special thanks to Electric Sun and P.D.A. Check out the evening's "Love Me Dead" sing-along in the video below, and you can find pictures from the show right HERE. 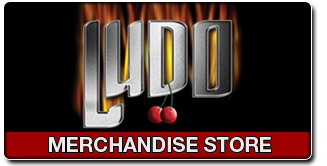 Ludo has announced that on April 28th they'll be taking over Manhattan. Tickets are on sale right now for Ludo's show at The Highline Ballroom in NYC. There will be no Ludo tour this year, so wherever you are - you don't want to miss this show! Get all the info HERE. Tommy & The High Pilots celebrated Valentine's Day by releasing a new music video for "Lonely Place" from their Sawhorse Sessions EP. They worked with director Scott Culver once again, check out the video below, and don't miss The High Pilots on the road right now with Allen Stone.